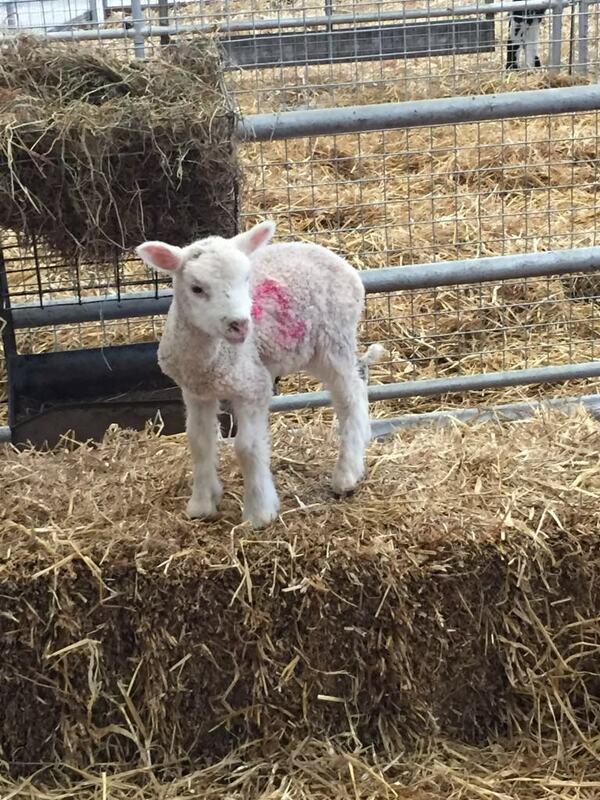 Whilst recently on holiday in Cornwall we decided to take the children out for the day to DairyLand Farm World. We had not heard of it before and did not know what to expect but we were very pleasantly surprised. This place is fantastic, very well thought out and totally geared up to toddlers and younger children. There are a lot of farm animals to see both inside in barns and outside. Our son loves stroking animals so having a designated area and time where we could go and stroke guinea pigs, rabbits and even a chinchilla was one of the highlights for him. 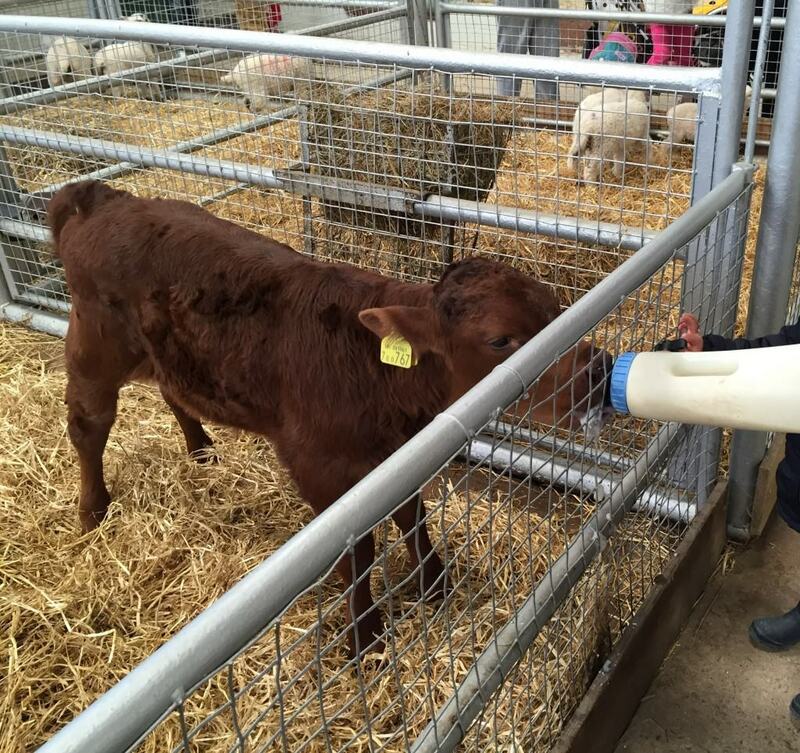 Again at a specific time you can bottle feed the lambs and calves which again both of the children loved doing. Inside this barn was straw safely stacked up and two slides so that the children are amused whilst you wait for the farmer to come with the bottles of milk for the animals as well as a tractor display and a sand area with little metal diggers for them to play on. We decided to pay a small additional fee to go on the trailer tractor ride and again they both loved this interesting bumpy ride around the farm stopping off to feed the ducks and fish. There are indoor sit on pedal tractors and outdoors, there is a play house, swings, sand pits and much much more. There are two ‘milking a cow’ sessions, we just attended the one where the little ones can ‘milk’ Clarabelle the artificial cow (water), whereas I think a lot of people went and watched the farmer milk the cows as well. Both of them received a certificate once they had completed their ‘milking’ which they thought was great. 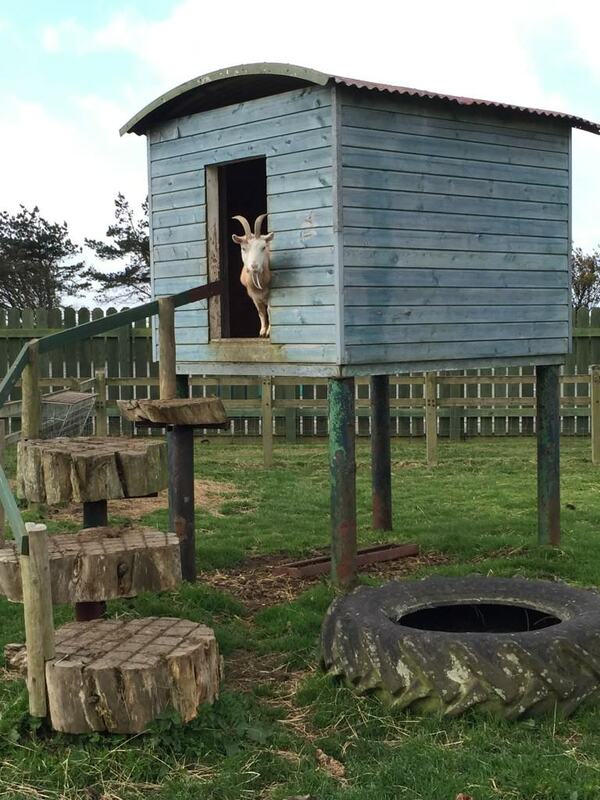 There is a lot to do at the farm including pony rides, nature trails, and visiting The Bull Pen. The Bull Pen is a huge indoor play centre which is superb on a rainy day. We took both of our children in there and it was rather difficult to get them out they loved it so much. You can either join them in this 12,000 square foot of pure child’s delight or grab a coffee and sit in the café and observe! There are huge slides, including astra slides and drop slides, climbing nets, fireman’s pole, ball pools and they even have a tractor which the children can sit on and control to pick up coloured balls (at an additional cost). 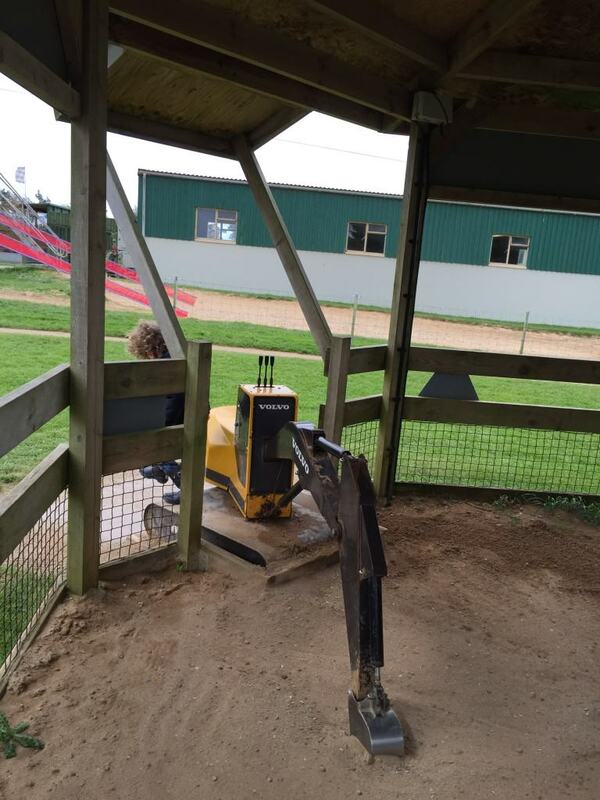 This Bull Pen would be an absolute delight for any parent on a rainy day. There is free parking at DairyLand Farm World and it has a huge car park. The toilets were immaculate and plenty of them around the farm. You exit the farm through a shop which had some nice little pocket money toys.